Winter is here! Rather we like or not. Winter means lots of cold weather. I spend a whole lot more time in my house than I do out during the winter. I don’t like the extra effort it takes to get the kids out. You have to bundle them up and make sure they are room. With little one’s I like to have blankets that I can take on the go. I decided to go hunting for blankets that were both stylish, warm, and easy to take on the go. That’s when I found the Bella Bundles Blanket on the Go on VAULT. Need to bundle your little bundle on the go? Bella bundles reversible, plush blanket has unique straps with snaps so that you can attach this blanket to any stroller or carrier. The blanket can also become a nursing cover up. Made with ultra plush fabric and stylish cotton prints this blanket is sure to please both mommies and babies. These are the ultimate gift because they serve multiple purposes! Carly Jo feel in love with this blanket. It’s just the right size for her to carry around and to take on the go. Plus, it’s very cute. I love how the look of it is so modern and stylish. The blanket has a strap in each corner that you can snap to the blanket. This strap serves MANY purposes. It can be used to hold the blanket up while a mother is nursing. 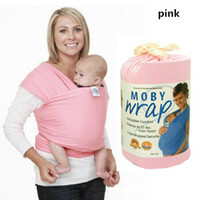 It can also be used to keep the blanket on the stroller at football games! That was my favorite part! I can’t count how many times I picked up a blanket of the ground at games. Now I don’t have to worry about that and she’s worm. Now, as far as Carly Jo is concerned the snaps serves as away to make the perfect cape! This blanket is super warm and soft!! One side has this this plush material that feels great on the skin! My only wish is they had one in adult size!